Fairfax County decks are exposed to some rough weather. Between the abuses of sun, rain, snow, and many wood eating insects, typical wood deck material can fail within a few years. The solution? The finest wood nature has to offer: 100% solid hardwood, ipe decking. Ipe deck boards are denser that any other wood on the planet. This wood is highly resistant to all of the problems that plague normal decks, such as insects, mold, and rot. For this reason, ipe has become one of the most popular decking options around the world. Our warehouses are stocked full with exotic decking imprted direct from Brazil. This means we can guarantee fast shipping at deeply discounted prices. In addition to ipe, we also sell three other types of exotic lumber. All of them have similar benefits as ipe, but are available at much lower costs. These species include Cumaru, Tigerwood, and Garapa. Call us today and we'll deliver right to your yard or jobsite. Contact Us to Buy Ipe Decking! 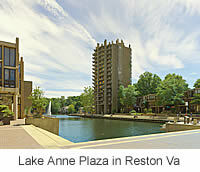 © IpeDeckingReston.com, All rights reserved.